Imagine this: You commission a builder to build you a house. He does not put foundations in. Even before you move in, the building starts to tilt and properly accredited, duly experienced builders make comments and ask questions. Of course, you move in after paying him double because of the nice shape and what he says are his spiritual aspirations. Then you need a security guard. He tells you his brother is one. You would pay him double too. Of course. And when he asks you for that amount for each of the hundreds he proposes to send in, in the event of a real situation happening, to get beaten over the heads with clubs, you would cheer and wish you had a money tree. As you do. As far as I’m concerned, before you can live safely in a building, it has to pass all the regulations, be built to a PROVEN AND TESTED STANDARDS, and not fall over. You would want to inspect the builder’s previous work and question his previous customer’s satisfaction rating. As for security, you likewise would hire the proven competent. But we live in a strange world. Who checks the track record of any professional whose services they wish to retain? Many are incompetent, inept and have a record of abusive practices. They are dismissed and placed on notice. If someone refuses to reveal a proud past record of success and accolades, he has already told you who he is. Why else would he want to hide it? Would you pay money to a lawyer who would lose your cases? Thousands do. To an accountant who embezzles and overcharges? Thousands do. Would you pay money and place your trust in a doctor who has a track record of dispensing unnecessary toxins? Or a surgeon, that of either killing or crippling his patients through incompetence or negligence? Thousands do. Would you permit an incompetent tyrant to rule over you? Millions have. Repeatedly. And in the aftermath of the disasters we bring upon ourselves, we whine, blame and want compensation. For our own negligent complacency and stupidity. Because you know someone who once knew someone who had a brother who knew someone else related to someone who could build a house, does not make you a builder. It doesn’t even make you a good gossiper. It is not a qualification. Period. Qualification carries the burden of proof. A piece of paper, a coloured piece of cloth and a long list of names is proof of nothing. It merely indicates that you have practiced somewhat and that someone has formally acknowledged that you have. As a species we are good and working too hard to fail; and bring disaster upon ourselves.. and many people tend to work many times harder avoiding a task than simply doing it. In all things where a skill is involved there is a STANDARD. Budo is the skill of diminishing violence. You either do or you don’t. You either can or you can not. You can’t just think you can… maybe.. and hope you never have to find out. That’s a feeble attitude and a dishonest one. Dishonest to yourself and whoever you flaunt your tissue paper, cloths and lists of names. Usually STANDARDS are based on COMMON SENSE. However, common sense is not common. Some people prefer to put the roof up before they have the walls in place. Or set windows where there are no walls. Well, it can’t be done. Why is it that people avoid foundational work? If you’ve ever had to lay the foundations for a building by means of manual labour, you will know. It is hard, back-breaking work. Good for you because there is sweat involved. Real work where you learn FOUNDATIONAL LESSONS. What they are really saying is that they are LAZY and don’t want to go through the discomfort of the work involved in establishing sound foundations. This, in part may come from living in the lack of real and pressing, imminent survival necessity. In other cases it’s merely lackadaisicalness. In a feudal era, in the realm of Budo skill, this problem easily resolves itself. The theorists make themselves useful as manure after speaking it in life. They help plant growth when the worth of their theories are tested in the field of battle. But, that is useful too. Make no mistake of it. Good for the environment. The fertile, life bearing top-soil layer of the planet is the result of millions of years of blood and bone. And theories that don’t work. Perhaps the dinosaurs had theories too. They are extinct. But we still have some measure of fertile soil to, in our current consummate wisdom, turn into desert, yet to go. In the feudal era, the battlefield survivors went on to teach what works. The litmus test and qualification being, not a certificate, not a piece of cloth, or a long list of name droppings, but THE FACT THE GUY SURVIVED REAL LIFE AND DEATH EXPERIENCE BY MEANS OF REAL SKILL, REAL EFFORT, REAL EXTENDING OF HIS SPIRIT. He had something to impart because he had a foundation based on SOMETHING. Something real. Then something happened which perverted the course of history. Somehow, academic theorists overruled reality (because they were well protected and other people went to war to die in their place). The burden of proof was no longer necessary. A piece of tissue was all the proof they need. A colored piece of cloth made them important people. And when all else failed, the long list of names going all the way back to someone who could actually do a day’s work. The tissue, proof of all this, was handed down by other people who also had a tissue hanging on their wall, going back all the way back to someone who actually had ABILITY and proved it by surviving real battle. Suddenly, windows began appearing everywhere, suspended in mid air, and roofs as well. Levitation became possible. Where were the walls? Who knows? Where were the FOUNDATIONS to hold this up? Somewhere in the distant mists of the past. And as we now see on so many videos compliant UKES began LEVITATING as well. Wow! Wonders never cease. Because you’ve done a course means nothing. You know the theory. Learning does not begin until you start building; and after putting into practice the school theories, you develop the ability to learn from practical expertise. This takes about twenty years and then you will have become a beginner, able to start refining the art. Until then you are pretty much a gofer, an apprentice. Art appreciation is fine, but can you paint? Music appreciation is good as well, but can you play or sing? Architectural appreciation does not mean you can build. Budo appreciation, a vague form of voyeurism, or rubbing lightly up against a floating window that remotely resembles the forms of Budo, does not mean you can STOP VIOLENCE. The primary of Budo skill is HONESTY. Honesty with oneself and honesty with everyone else. In fact honesty is critical because to be able to stop violence you require understanding of predispositions, and the clarity which comes from honesty. 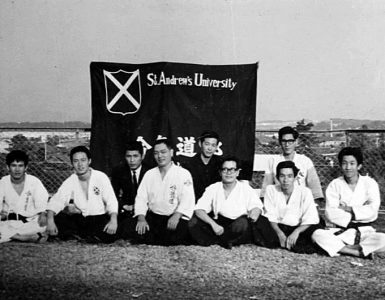 The Founder of Aikido was not just soliloquizing when he urged how important it is for training to consist of :”Honest attack and honest defence..”, for this is the basis behind even the foundations. Absolute clarity. Honesty means QUESTIONING, EVALUATING and MODIFYING. Speaking of work, what percentage of those purporting to teach any Budo, have actually WORKED in field related to their skill placing their lives at risk, professionally protecting anything at all? I rest my case. Most so called budo is a crock, with most “aikido,” being the worst offender! This is not the fault of either Aikido, or the Founder, Morihei Ueshiba. Rather that of those who chose to water Aikido down by removing, ignoring, or failing to notice the essentials of Aikido. Aikido has been advertised by such ridiculous words as, “The non-fighting martial art.” Aside from being an oxymoron, this is a nonsense. By definition. Other have used, “Gentle Self-Defense.” Really? I mean, what can one say? Gentle training practice for office workers, perhaps? If someone attacks you at 100kph and you “defend” at 3kph you will not succeed. Simple physics. I disagree. I’m not sure which Ueshiba he may have been referring to, but it certainly was not Morihei’s Aikido. 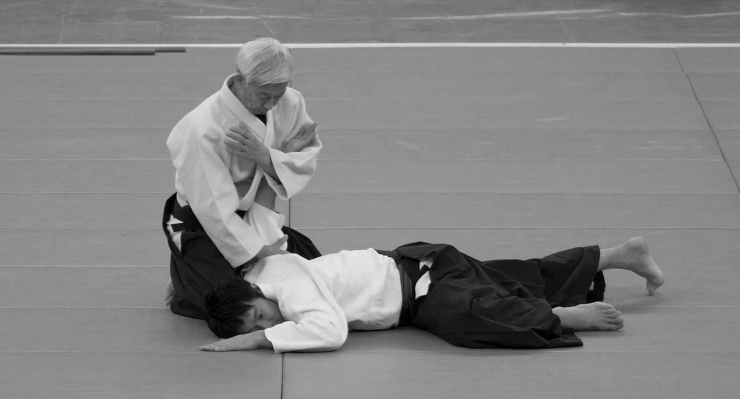 The basic techniques and principles of Aikido are a valid training tool. Extremely valid, relevant and central to all Budo arts. They are solid and foundational; and when practiced properly, will lead on to develop authentic essential attributes that are indeed functional, and can be applied with effect, in daily life and also in instances of real survival. Aikido come from a good source. The best. After the basics, where the individual takes it, if anywhere at all, is a choice. “I rest my case. Most so called budo is a crock, with most “aikido,” being the worst offender!”…now that is true. I have always been impressed by your articles. Some time ago when I tried to check your background, your website provides little information on you, your qualifications, your dojo… not does it contain photographs or videos of trainings. 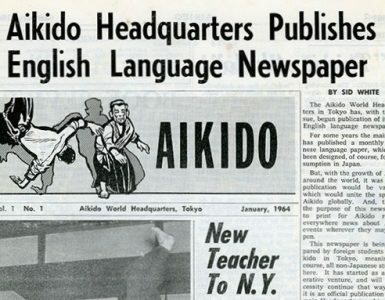 You seem to have an endless supply of words for the Aikido Journal… Point is, where is your foundation? How can I evaluate your qualifications? Do you have a bio sketch somewhere? That’s all anybody has to prove their WORK. Unless you want to get in a cage or a dark alley and try to prove something. The “Most so called budo is a crock” (except for me of course) attitudes of some of the names on the page above is getting painfully tiresome on this website. Are you hypnotised or something? Did not the content of the article sink in? All those things you request can be faked and usually are, if even by a past fork in the road of transmission unrecognised by progenitors. FYR My old site was indeed cluttered with lots of those things you suggest. I took it down. Brother, websites do not constitute “background checks.” People can put whatever they want on them. But your question of “where is your foundation” is valid indeed. You should ask it of everyone. And a biased self promoting bio sketch won’t do the job. You are welcome to come and train with us any time. My foundations are in life experience and on the mat. If your enquiry is truly sincere please come visit and step on the mat. We won’t hurt you but you will not be disappointed. Having said that, the foundational training methodologies taken up with true sincerity and purpose work well, as they did for over a thousand years in Japan and longer before that. They still do. People who depart from the foundations and have no real objective in protective service or even the yoga like effects of training do the budo arts a disservice. Play acting at being a samurai and fantasising about ersatz rank, whilst unable and unwilling to serve society in a protective capacity is a mental illness. The word authentic has a meaning over and beyond it being something you can bandy around when you want to impress people that you’ve read a book or two about “spirituality.” Like budo, including Aikido, unless implemented for good purpose, it is just noise. My sincerest apologies. It would have been good to catch up. I’ll talk to the webmaster about the email link on the site. You seem to be missing the point. Budo, by definition is the maintaining of order in society (administration) and at the hard cutting edge, the protection and policing of that order (which feeds, houses, keeps you safe, and food and commodities in the stores and so on). Budo is service, not self-service. What is really painfully tiresome is that people in safe environments made safe by the really capable who are willing to take real risks; like to live in a fantasy land of dreams based on the illusory glamour imagined about an era long gone, and thereby miss TODAY! And the opportunity to make oneself useful in contributing to a meaningful standard without which, anarchy would reign. Harmony is not a vacation of some kind, or a nice word we use to impress, but responsible work and sometimes requires battle to maintain. We take it too much for granted that we are no longer in a feudal era and the lack of such maintenance may well reduce us back to those lesser standards of the past, notwithstanding all the gadgets and toys of today. Some like to ride these safe environments and play at macho like dancing in even safer square rooms with padded floors and good lighting, and thereby imagine an undeserved glory of some kind in coloured cloth and certificates, and dropping the names of individuals they have never even met, instead of meeting the personal challenges of now. Fat, lazy sensei who no longer take ukemi being one such example. Why should they? They are reeling in the money. But is that budo? Dojos are intended as places of learning and preparation to become better human beings by meeting challenges and converting them into harmony. The yoga/meditation-like effects are a fringe benefit, not the self-centered goal. The goal is constructive usefulness in the world, nurturing, caring and protection for all life. Service. Morihei Ueshiba had it right. He simply saw through the bs, to that which should be obvious, but often is not. Cages and dark alleys? You’ve been watching too many superhero movies. That’s ego and delusional behaviour, not budo. The samurai were useful in their day. As much, if not more so in administrative tasks than the battlefield. They no longer exist as they did then. But they do exist. The uniform is different and the work has altered in some ways. The risk stays the same and varies depending upon the task. Pen pushers who dance in a dojo after “work” for a yoga-like recreation, not even bringing up a sweat, and then strut their hakama are not usually warriors, rather pansies. Unless they are individuals of integrity, with backbone and willing to stand up for what is right. This may take the form of intense combat in some fields. But it need not. A good schoolteacher, baker, candlestick maker or anyone who is not a moral coward can quietly do good works that improve society for all others, as well. Just one example is occupational health and safety laws. These did not simply fall out of the sky. It took, risk, confrontation and the pressing for what is right to bring them about. Some countries still don’t has such basic essential human rights which the lazy and ungrateful take for granted. I’m not writing much at all, simply rephrasing the lucidity that Morihei Ueshiba and other before him already made abundantly clear, already. Service contributing to good things is mostly met with opposition because it makes waves and disturbs the comfort of the unconscious or mentally dead. It takes backbone to do what is right and serve the greater good; and if you are not serving towards uplift, you are part of the problem. Simple as that. I know my style of writing is not much. I’m simply inspired by the Founder of Aikido and his real and solid vision for enabling human uplift. Yes indeed, his style of writing is better, but not often understandable by the mindset of today. If all this sounds too “complex” don’t worry, simply train. Practice the basics (or don’t as you choose). If training and researching foundational basic combat techniques makes you a better person, Aikido will have done its job. In all this, personalities are irrelevant. We are all ordinary mortal human beings. It is the journey of Aikido which can be extraordinary, and enable magnificent attributers of life which would otherwise have remained dormant to emerge. In all this, a solid and pragmatic foundation is essential, because that is the starting point. After that it’s your journey. Thanks for bearing out the contention of the article. I’m told it will send you blind, staring at the sun. But yes, struggling with the challenges necessarily involved in establishing a solid foundation will certainly force you to dispel the fear of looking inside. Hence the value of honest daily training. Well said, Nev. I appreciate your words. 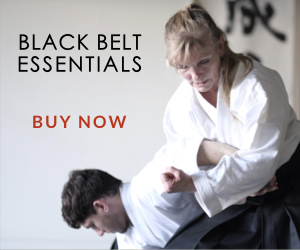 You’ve obviously never come across Aikido yet. All of one whole cursory chapter, almost two whole pages consisting about 631 words, is devoted to aikido. Hardly a thesis. The rest is fill, pictures, mostly photos, Don Draeger lightly touches on the subject of his limited opinion about aikido from a highly cerebral and academic perspective which denotes his surface understanding on the subject. In pages 144 and 161, he unravels all of two whole pages of brilliance purporting to sum up the universe which is Aikido! In this illustrious tome, Draeger talks about Ueshiba Morihei from a second-hand and surface perspective quite evidently not cognisant of the depth of Ueshiba’s view on the matter and in such a way as to ambiguously purport to draw a distinction between the practical aspects of Ueshiba’s Do and Sokaku’s jutsu, as if there was one. He asserts that Ueshiba’s aim was somehow different in that his desire was for the cessation of aggression. Someone should have interpreted the meaning of the word Bu for Mr. Draeger’s edification. He quotes Ueshiba out of context to make it appear as if his Aikido was somehow “softened,” followed by one of Takeda’s harder quotes to make it appear as if a difference exists. He also waffles indistinctly without throwing any light on subjects such as kobo ichi, sen, “philosophy” and “classics” in such a way as to denote that he is entirely out of his depth in these matters, a westerner striving to impress about insights he does not have about a culture, deeper and older than his own. Only Mr. Drager knows what he thinks he might be saying. But one thing is sure, had he been around to train with a 40 or 50 year old Ueshiba he would have developed a rather clearer understanding about the true nature of the practical aspects of Aikido. He seems to fail to grasp the connection between Ueshiba’s spiritual orientation of nurturing and protecting the interconnected mutually supportive web of life. His evident discomfort and lack of comprehension with with Ueshiba’s moral philosophy may come from his own war reliant, extractive culture. It’s hard to tell. Conceptual hypercerebrality and voluble opinions aside, in reality there is no distinction between the Do and jutsu aspects of Aikido or any other art, other than that for safety in practice the Do methodology is necessary; and for survival in reality, self evidently the jutsu. Splitting hairs on the subject is unintelligent. As for the debates about atemi, buki waza and other obvious natural attributes, what do you reckon? Instead of confusing with complexity, it is preferable to clarify with simplicity. Words are nice. Training is better. Refinement takes time. Dilettantes don’t take time to actually master anything, but flit from this to that surface in the manner of a butterfly, thereby gaining no depth. All the “many and varied” combat arts share the commonality of simple natural functions of physics and are by default, inevitably subject to gravity. 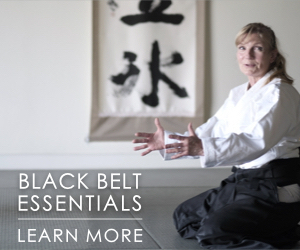 A proper, in-depth study reveals that there are more similarities between the arts than differences, this delineated by the limits of the human frame and structure.. Once you refine crude and clumsy, non-strategic actions and make them strategic and efficient through the personal refinement which comes from regular practice, it becomes Aikido naturally and by default. The evolution from crude and clumsy blind action, to efficient and refined lucid action is a natural one. The adaptive, evolutionary trajectory of refinement is a natural one the ancients liked to refer to with such labels as the Japanese: Kannagarra no Michi. The understanding that social harmony is directly intertwined to states of mind which lead to actions, thence cause and effects at all levels, then tends to indicate with decided obviousness, that Budo has always existed, and this for the protection of life and preserving order. I will stick with Dreager…we know what his credentials were…and we don’t know yours? Nice dancing with cooperative uke’s…not practical self defense in reality for the street. I offered him a dan upgrade if he could take me down during the embu, just to spice up the intensity of the game. I can assure you he was having a fair go and when my knee injury began to play up I had a fleeting regret about making that offer. But, that’s what’s training is about. Nobody in real life will attack you in an ideal day. That, ”Life begins at the end of your comfort zone.” is not just a cliche but something to live by! I felt very alive, wondering whether I would make a fool of myself infront of many people present. After all a bit iof reputation does help and I wanted to keep it. I certainly had incentive. Truth be known, another student of a similar caliber, did in fact succeed in taking me to ground in the next embu :0! And I wasn’t even sick! That day I was glad it was only training between reasonable men and it wasn’t high stakes. Instead of commenting on the thread, I will comment on the video. 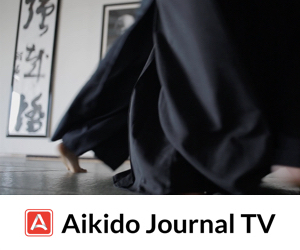 If you can read (judge) an aikido performance, all the questions are answered. To qualify for high-level judging like this, I’d say that 20 or more years of sincere mat experience are required. If you’ve seen many high-ranking demonstrations, for example, at all-Japan Aikido demonstrations or at Hombu dojo (which is not to say that you have to go to Japan to see high-level aikido – due to the amazing growth of aikido, there are many high-level senseis throughout the world), then you will know that this demo is right up there. 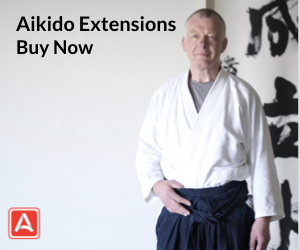 “Credentials” are visible, if you have eyes to see – but seeing developed through decades of aikido practice (including taking ukemi). The demo is a clear example of high-level aikido, both nage-waza and ukemi, in classic, jiu-waza format. You can see how beautifully-fluid yet powerful nage is. You can see that the blending demonstrated (the “ai” of aikido) is especially very impressive and high level. You can see all the irimi’s with every technique — you can see Mr. Sagiba entering or moving forward to meet/enter/blend with uke with every “technique.” Quite a large number of techniques are demonstrated from various initiations, which is by no means easy to do especially in free-flowing practice like that, as you will appreciated if you practice this. You can see how relaxed and focused Mr. Sagiba is in the demo, yet also how powerful he is, and you can just imagine all the joints popping and ligaments tearing if uke were too stubborn, drugged up, or inexperienced not to move with the techniques. Just to note that one key difference between aikido and dancing is that in dancing you don’t get broken (or hurt) if you stop in the middle of a movement. Which reminds me, I highly recommend the movie “Mao’s Last Dancer”. Anyway, back to the video — you can see Mr. Sagiba moving into all the openings (with no hesitation) where uke is vulnerable to whatever degree of damage nage would inflict. Interestingly, you can also see the fluidity between initiation and response, where the line between nage’s initiation and uke’s responding is either crossed back and forth many times or blurred (in a good way). Speaking about applications, good luck even touching a nage like that if he or she doesn’t want to be touched. Well, the other person is going to get touched first. There is a danger in judging Aikido from watching videos, they are only 2 dimensional,and consequently you cannot feel how effective these techniques actually are, and so it can look like a form of dance or as if Uke is just taking a fall for Tori.I have personally been on the end of what seemed like from the outside no movement whatsoever but felt like an earthquake to me on the recieving end.